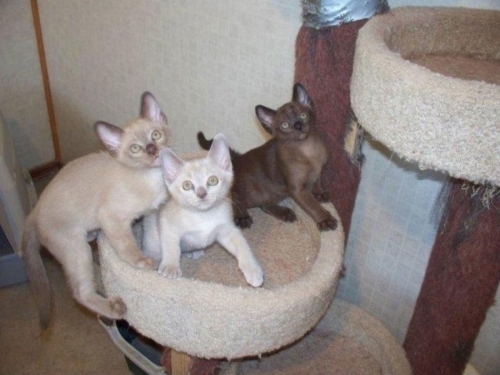 Our beautiful kittens come in a variety of different colors. The kittens shown are sable, blue, platinum, and champagne. Our kittens are home raised with lots of love and care. 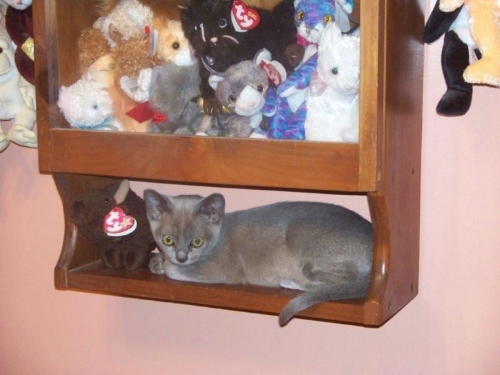 Burmese are often called velcro cats, because they constantly want to be held.They sleep with you and fetch, and will jump in closets as soon as they are opened.